"With the Curiosity rover characterizing the potential habitability of Mars, the Kepler mission discovering new planets outside our solar system, and Mars 2020 on the horizon, these research teams will provide the critical interdisciplinary expertise to help interpret data from these missions and future astrobiology-focused missions, " said Jim Green, director, Planetary Science Division, at NASA Headquarters, Washington. Average funding for each team will be approximately $8 million. The interdisciplinary teams will become members of the NASA Astrobiology Institute (NAI), headquartered at NASA's Ames Research Center, Moffett Field, California. *	NASA's Goddard Space Flight Center, Greenbelt, Maryland. Team lead is Michael Mumma. Research will investigate one theorized source of Earth's water and the organic molecules needed for life: comets and the other small bodies in our solar system. The results of this research will inform the search for habitable environments in our solar system and habitable planets around other stars. *	NASA's Ames Research Center, Moffett Field, California. Team lead is Scott Sandford. Research will address the chemistry which occurred to create the organic molecules that may have been brought to the early Earth by comets and other small bodies. *	NASA's Jet Propulsion Laboratory, Pasadena, California. Team lead is Isik Kanik. Research will conduct laboratory experiments and field research in environments on Earth, such as The Cedars in Northern California, to understand the habitability of extraterrestrial icy worlds such as Europa, Ganymede and Enceladus. *	The Search for Extraterrestrial Intelligence (SETI) Mountain View, California; Team lead is Nathalie Cabrol. Research will produce guiding principles to better understand where to search for life, what to search for, and how to recognize finding evidence of past or current life. The goal of the proposed research is to best prepare for NASA's Mars 2020 rover. *	The University of Colorado in Boulder. Team lead is Alexis Templeton. Research will study what scientists call "Rock-Powered Life." Rocky planets store enormous amounts of chemical energy that, when released through the interaction of rocks with water, can power living systems on Earth, as well as on other planets such as Mars. *	University of California, Riverside. Team lead is Timothy Lyons. 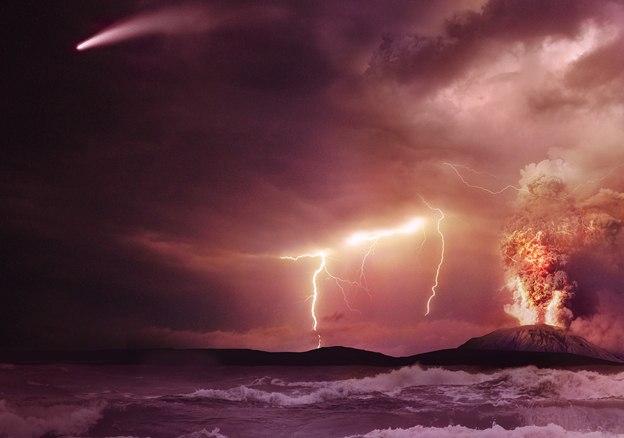 Research will examine the history of oxygen in Earth's atmosphere and ocean between 3.2 and 0.7 billion years ago. This is a time range in which the amount of oxygen present is thought to have increased from almost nothing to the amounts present today. This work will address the question of how Earth has remained persistently inhabited through most of its dynamic history and would provide NASA exploration scientists a template to investigate the presence of habitable conditions on Mars and other planetary bodies. *	University of Montana in Missoula. Team lead is Frank Rosenzweig. Research will look to unlock the secrets of life's transitions from small "units" conducting simple chemical reactions to self-organizing, self-reproducing, energy-gathering systems that range in complexity from single cells to ecosystems. "The intellectual scope of astrobiology is vast, from understanding how our planet went from lifeless to living, to understanding how life has adapted to Earth's harshest environments, to exploring other worlds with the most advanced technologies to search for signs of life," said Mary Voytek, director, astrobiology program, NASA Headquarters. "The new teams cover that breadth of astrobiology, and by coming together in the NAI, they will make the connections between disciplines and organizations that stimulate fundamental scientific advances." The seven new teams join five continuing teams at the University of Washington in Seattle; Massachusetts Institute of Technology, Cambridge; University of Wisconsin, Madison; University of Illinois, Urbana-Champaign; and University of Southern California, Los Angeles.